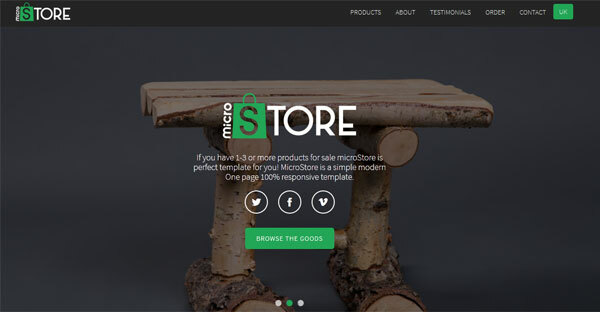 MicroStore HTML template is a One Page eCommerce theme which can used for modern websites. This is a stylish theme with responsive design. This theme was built on Bootstrap 3.3 Framework and it uses Google font library for typography. its also Cross browser Compatible so your website will work fine on all major modern browsers.